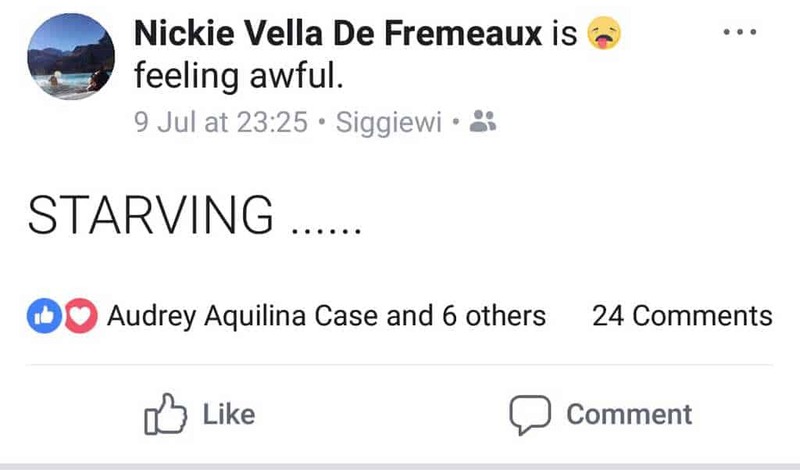 This is from Nickie Vella de Fremaux’s public Facebook page. From two days ago. 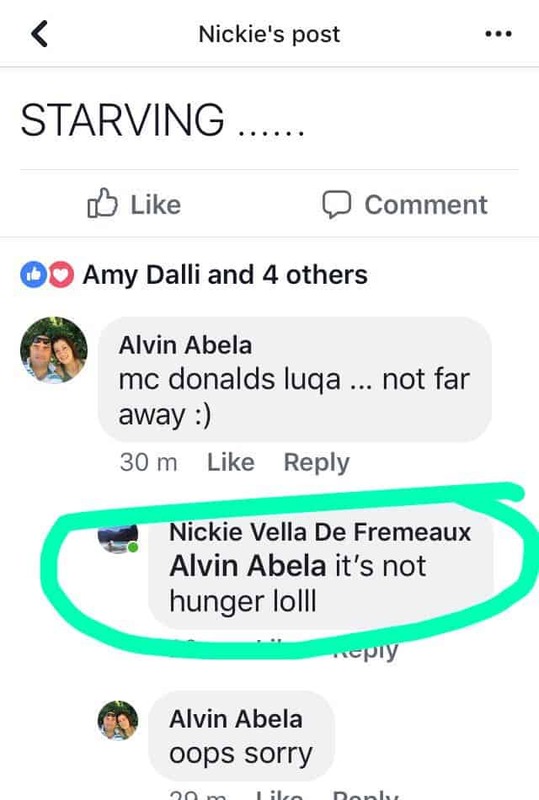 Starved but not hungry. What of? Attention? Air? Abiogenesis? Madam you’re in the big league now. Try to act the part.